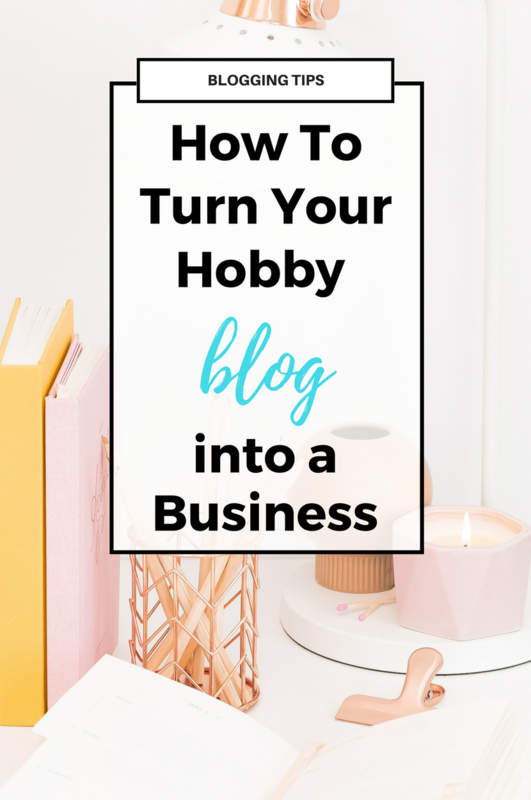 My early years of blogging when I was fresh on the blogging scene, I didn’t really have a clue about how to create a business or transition into full time blogger. I was writing blog post after blog post for my home decor and lifestyle blog, but without any kind of direction or strategic goals in mind. I would spend SO much time creating the project, taking photos, and then editing those pictures. Then came the writing and editing part. Then publishing and trying to promote it all across social media and anywhere else I could possibly think of. Facebook, instagram, pinterest, feature sites, and more. And then doing it all over again. Trying to maintain a ridiculous schedule of 3 brand new posts per week. I was pouring in hours and hours and hours of time, but I was barely making any money and barely seeing that income needle move every month. Watch today’s video on Youtube so you can hear what my one biggest turning point was in my business. I thought I had done all the things I was supposed to do to have a successful blog, but I just wasn’t getting there. I felt totally stuck. I didn’t know where to go next. 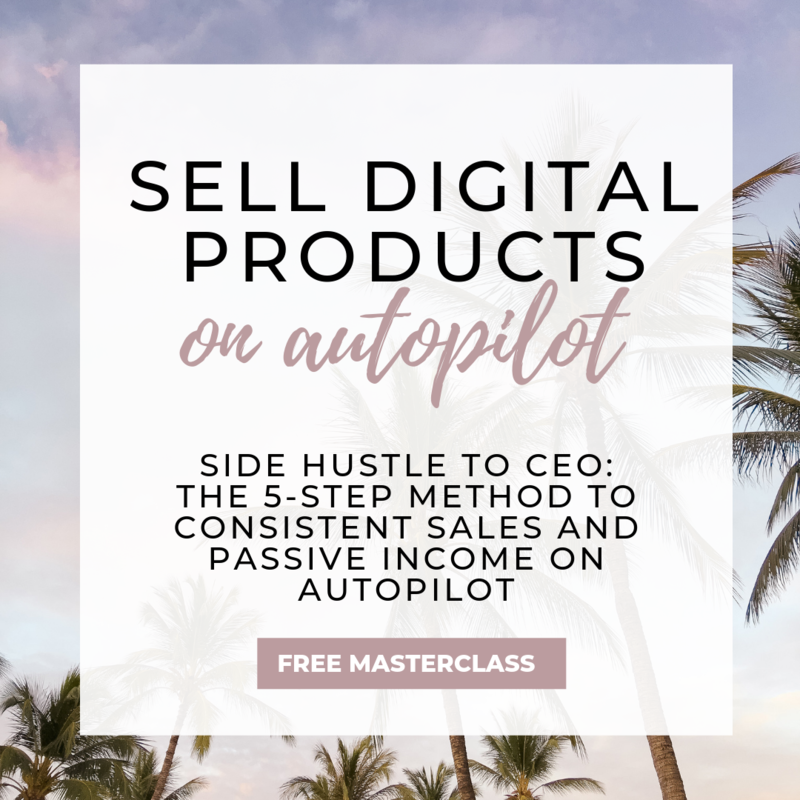 My income and blog growth felt so slow, yet I was pouring in all this energy. But I kept doing the same thing over and over, expecting a different result. You keep churning out post after post, like I was doing 3 times per week, expecting a different result after a certain amount of time. You expect that suddenly your blog will explode and so will your revenue, but it just doesn’t happen that way. I wanted to get to a place where I could create amazing blog content, but on a way more relaxed basis. Something more like 1 new blog post a week would be way more do-able. I wanted to be earning regular income month over month that was steady and growing. Something that amounted to more than just a few hundred bucks a month. I didn’t need to be one of those “six figure bloggers”, but I did need to be making enough that I could leave my corporate job. I wanted to have a clear picture and plan for growing my business and scaling it. I didn’t want to just publish blog posts willy-nilly, but instead have a strategic direction with clear tasks. And ultimately I wanted to have a blog that was a brand. A community. A movement. Not just a random collection of articles. Does that sound like where you want to go, too? Where would you LIKE to be right now with your blogging business if you could just snap your fingers? I know there are a million people out there telling you what to do as a blogger, and countless articles you can read. Every expert has a different set of advice or different things to focus on, and it’s impossible to do all the things. 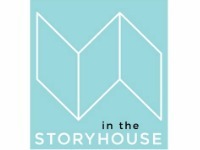 But you know what has a huge effect on me and my blog? It was a mindset shift. 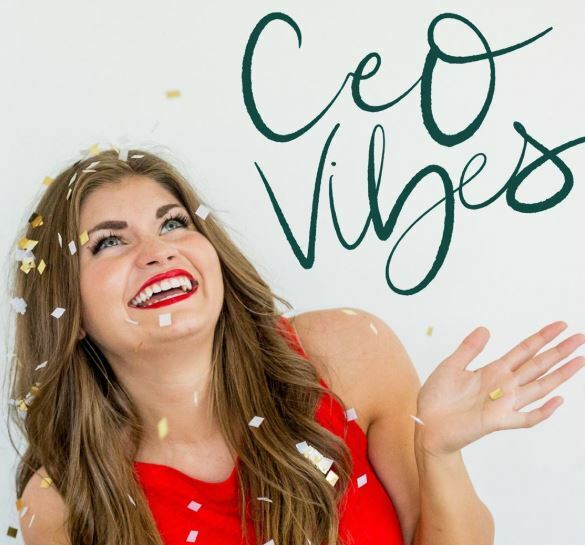 I realized that if I wanted to create a sustainable, scalable business for myself, I needed to shift out of this “just a blogger who creates content” mindset and instead call myself a business owner. I realized I NEEDED to have actual products I could sell in order to take control over my revenue and build toward something that was mine. Where I wouldn’t have to rely on ads, random affiliate links, or brand partnerships. Those were still great and something I didn’t want to give up, but I couldn’t put all of my eggs into those baskets. 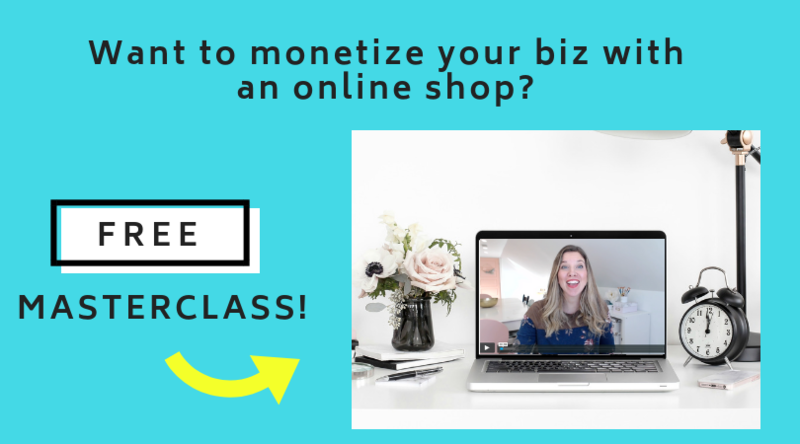 I knew that if I could create a store as part of my blog where I could sell products that were in line with my niche, and that my readers would love, I would be able to transform my blog into a brand. 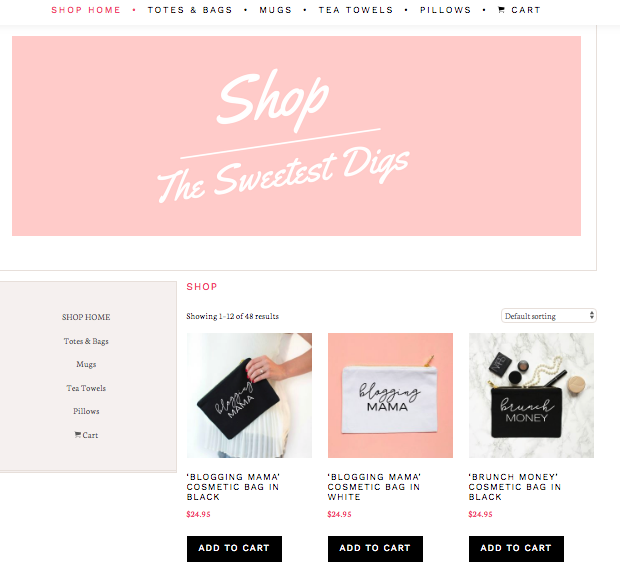 Here’s the thing about creating products and launching an online shop: It helps take your blog from just a website, and transforms it into a community. You are creating connection there with your readers. And then beyond the connection, it transforms your brand into a movement. Imagine getting a notification on instagram that someone tagged you in their pic. You head over and it’s this amazing photo of one of your products showcased by a customer. How incredible would that feel? That’s what happens when you sell your own products. You create pieces of your brand that your readers can actually own and have in their own homes. It makes your brand tangible. 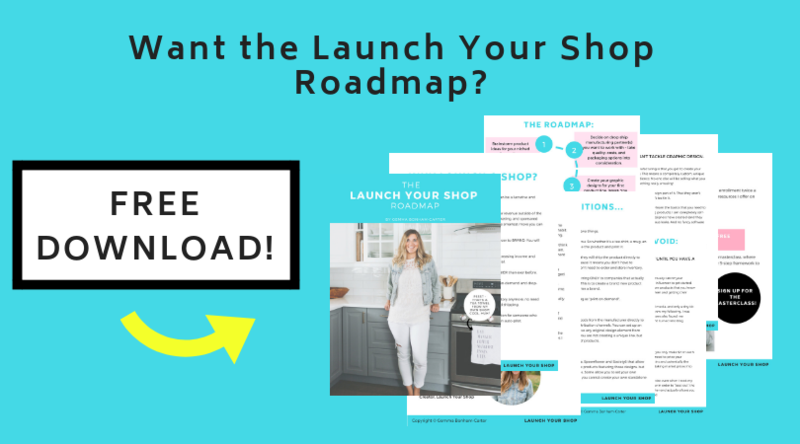 By launching an online shop, you not only create that movement, but you are building a sustainable and scalable business plan for yourself. You will generate income every month through a completely new source – your store. 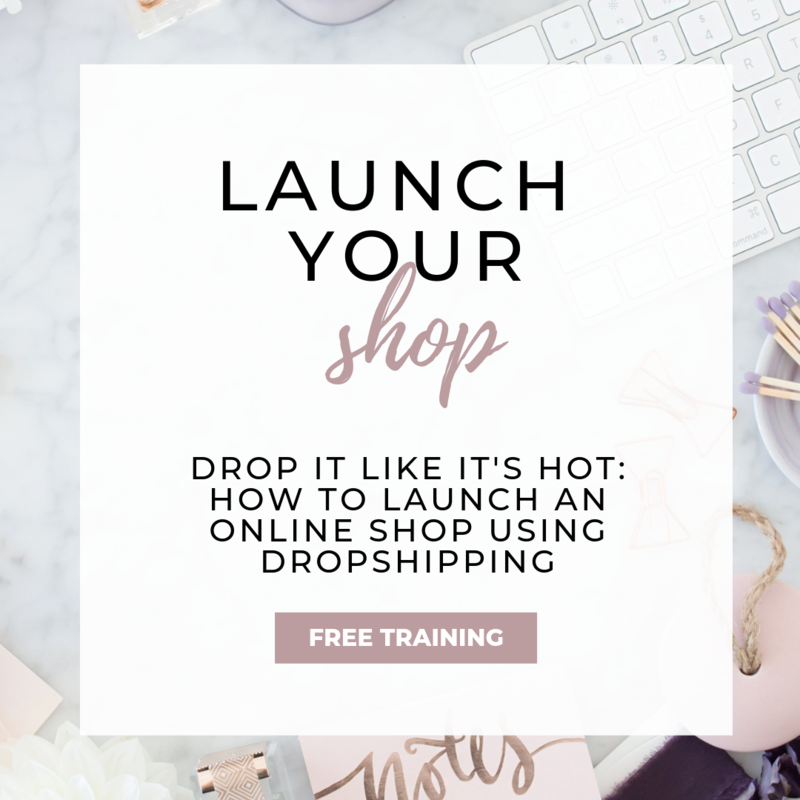 Launching my own online shop as a part of my blog was the number one way I took my blog from just a hobby to a full-time gig. And I get to continue to scale that revenue up month over month. And you know what? 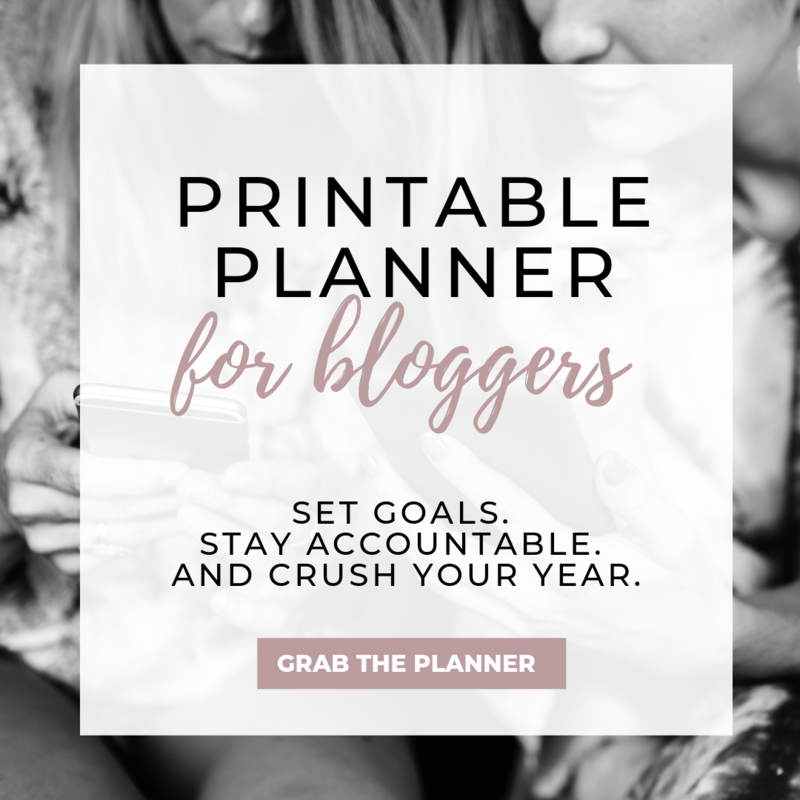 I have been able to reduce my blogging publishing schedule down from a crazy 3 posts/week to 3-4 posts a MONTH. 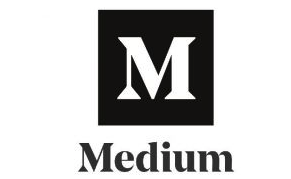 I no longer have to listen to that advice of publishing every single week and going crazy with trying to produce SO MUCH CONTENT.